Head into the blue with the experts as Discover the World celebrates 25 years since it pioneered whale watching in Iceland. The locals laughed at first. What were these three men thinking, spouting a notion to launch the first ever whale watching trips in Iceland? It would never work they said. That was back in 1989. Discover the World’s founder Clive Stacey – along with Mark Leaney, Mark Carwardine and local expert Tryggvi Árnason – went ahead, chartered a trawler and saw whales. Lots of them. A few years later, in 1993, Discover the World chartered a fishing boat in Höfn and commercial whale watching in Iceland was born. North Sailing launched their first whale watching excursion in 1995 from Husavìk and we’ve been working with them ever since. Today, around 350,000 people go whale watching from multiple locations around the island every year, and it remains a highlight for many of our clients. As well as Iceland, Discover the World offers whale watching in Canada, Alaska, New Zealand, Australia and the polar regions. Imagine watching humpback whales breaching in the golden light of the midnight sun, or minke whales lunging at fish while clouds of fulmars and Arctic terns swirl overhead. Over 20 species of cetacean are found in the seas around Iceland. The varieties most commonly seen range from the diminutive harbour porpoise and white-beaked dolphin to orca, minke whale and gentle giants like the sperm, fin, humpback and blue whale. Peak season for whale watching is April-September when you stand a good chance of witnessing the acrobatic antics of humpback whales. Blue whales are regular early-summer visitors, particularly off the coast of North Iceland. 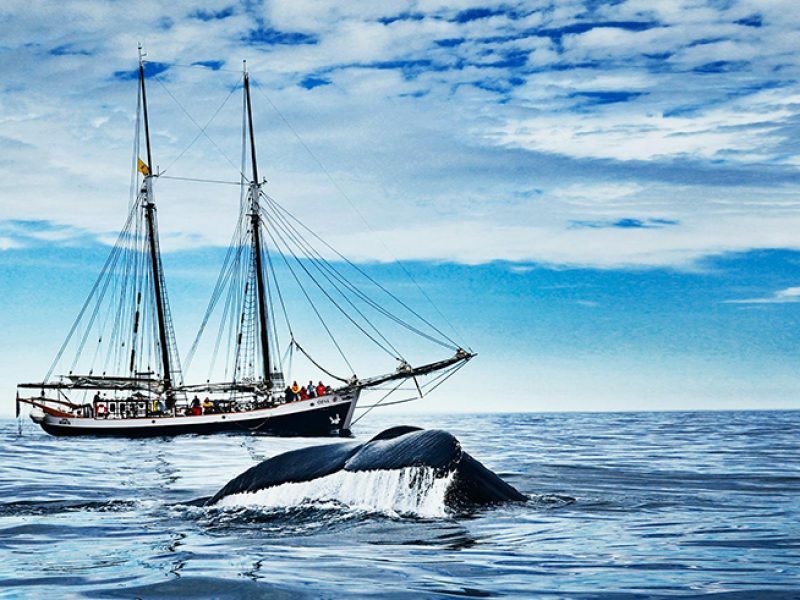 At Husavik, ‘Europe’s Whale Watching Capital’, you can set out in a sailing schooner or a beautifully restored oak fishing boat into Skjalfandi bay; Olafsvik offers voyages in search of orca and sperm whale with the stunning Snæfellsnes Peninsula as a backdrop, while Reykjavík’s Old Harbour is the departure point for whale watching cruises in Faxafloi bay. 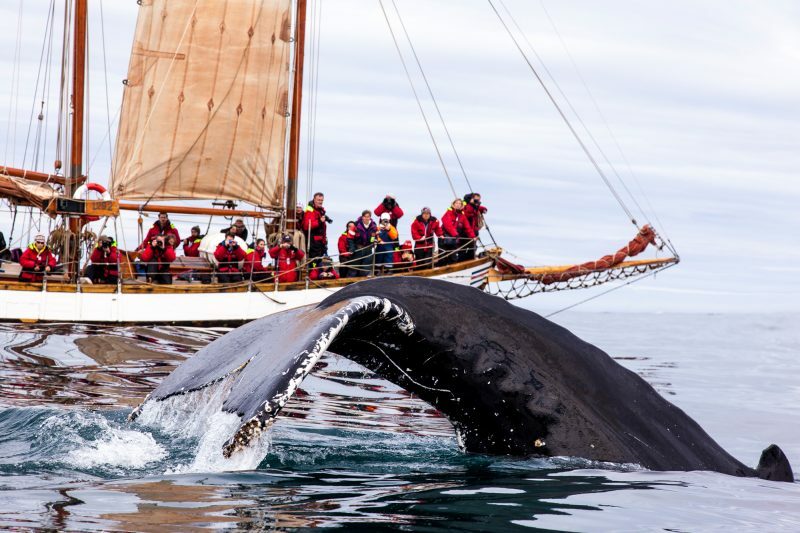 In the company of expert guide, Cathy Harlow, experience Iceland under the midnight sun with four whale watching trips included. Drive full-circle on Iceland’s Ring Road and into the West Fjords, experiencing an incredible range of natural wonders. Drive via the Snaefellsnes Peninsula to the West Fjords for an in-depth exploration of this stunning and remote region. Soak up the sights and culture of the East Fjords before heading north to Lake Myvatn, Dettifoss waterfall and Husavik. Based at a stylish countryside hotel, explore the Snaefellsnes Peninsula and other natural wonders of West Iceland. Imagine watching a pod of orcas – twenty or thirty strong – rounding up vast shoals of herring on a winter feeding frenzy. Imagine the moment a humpback dives, its scalloped flukes trailing droplets of water that shine like liquid gold in the low winter sun… or being surrounded by white-beaked dolphins – dozens of them racing through the whitecaps, converging on your whale watching boat like playful torpedoes. Between February and April, orcas prowl the western coast of Iceland, hunting herring against the mountainous backdrop of the Snaefellsnes Peninsula. We pioneered trips to witness this amazing spectacle, combining whale watching with a chance to witness some of Iceland’s other natural wonders, including the northern lights. Discover the World guides Cathy Harlow and Alexa Kershaw (both highly commended in Wanderlust magazine’s World Guide Awards) lead our whale watching trips in Iceland, sharing their knowledge of cetaceans and the northern lights and helping you capture incredible photographs both day and night. 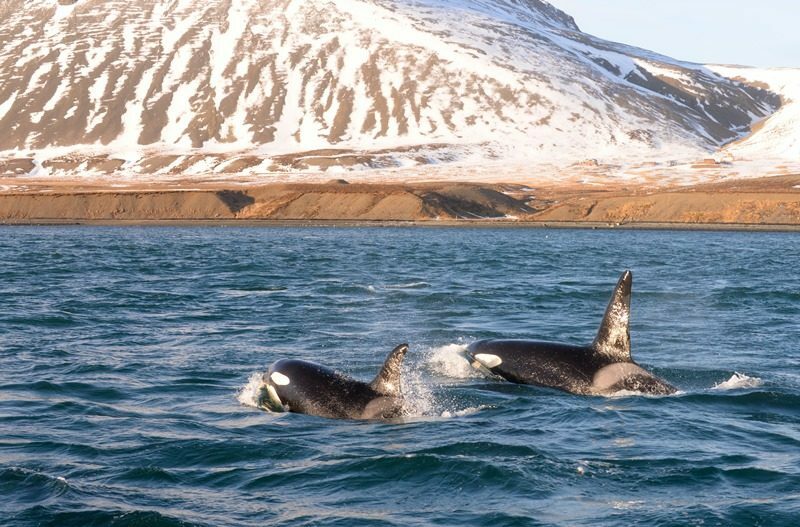 Our trips are based in the fishing village of Grundafjordur where you have quick access to the whale grounds and can often spot orcas from shore. The skippers of the whale watching boats are not only hugely experienced, with intimate knowledge of the seas and where to find the whales, but they also adhere strictly to a responsible whale watching code, ensuring both you and the whales remain safe. To complement the three- or four-hour boat trips, our holidays include land-based aurora hunting excursions and a programme of fascinating talks by our experts. To plan your own whale watching adventure, contact our team of Travel Specialists today on 01737 2140250 or send an enquiry. DJ, musician and whale-watching fanatic Marc Riley tells us about the rewards of travelling with Mark Carwardine and why whale watching in Iceland is a very special experience.